An Employer Identification Number (EIN) is a nine digit number assigned to business owners in the United States by the Internal Revenue Service (IRS) for identification purposes. It is also known as Federal Employer Identification Number or Federal Tax Identification Number. Applying for the EIN number involves a lot of paperwork and use of technical language that can be confusing for applicants. This may result to mistakes in the application process that can lead to delays. Therefore, obtaining an EIN number can be a tasking, frustrating and time-consuming process. To avoid this, you need to prepare yourself beforehand so as to ease the process. To get an EIN for your business, you need to fill several forms such as SS4 and have all the required documents ready before starting the application process. You will need to either have a Social Security Number or an Individual Taxpayer Identification Number to file the SS4 form. You will also need to know the type of business entity you would like to start in order to complete the application process. Leaving out any of the required documents hinders the processing of your EIN. Sending the wrong documents will also ensure you do not get your EIN for your business. This may sound simple because everyone thinks they cannot make any mistakes. However, filling out the paperwork incorrectly is very possible. It important to go through the paperwork to ensure the information provided is accurate and clear. Inaccurate and unclear information can mean the application is misunderstood and returned to you hence not processed. Before applying for an EIN, you should have a Third Party Designee and fill the Third Party Designee section at the bottom of the form SS4. You should ensure the Third Party Designee you have selected is a taxpayer and has signed the form so that the third party designee authorization can be validated. Failure to meet these Third Party Designee requirements will see that your application process is cancelled. 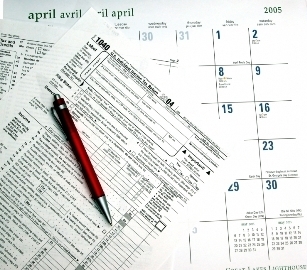 Applying for an EIN is a free service offered by the Internal Revenue Service. You can apply online, by fax, mail or through telephone for international applicants. It is important to read and follow the instructions given before submitting the paperwork. The paperwork should be sent to the right department in order to be received and processed immediately. If the papers end up in the wrong hands, the application process may be cancelled or it may take longer to process the EIN. Applying online is the fastest and most convenient way to obtain an EIN. You can apply for an EIN online through federal-tax-identification.com. For you to apply for an EIN, you must disclose the name and taxpayer Identification Number of the true principal officer, general partner, grantor, owner or trustee. The responsibility party controls, manages or directs the applicant entity and disposition of its funds and assets. You must identify one responsibility party that the IRS can contact. Ensure the responsibility party you have selected has the required qualification for your EIN number to be processed.